Continuing our discussion of the last four things we believe in the RC Church, we come to Judgment. However we must first talk a bit about sin and the sacrament of confession. 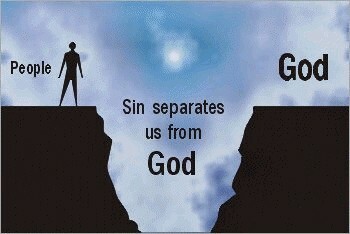 Sins are evaluated according to their gravity. The Church teaches that there are 2 kinds of sin: mortal sin and venial sin. For a sin to be mortal, three conditions are necessary: it’s a grave matter; it is committed with full knowledge and it is committed with full consent (CCC1857*). A grave matter is specified by the Ten Commandments and there is a relative gravity among sins: murder is graver than theft, violence against parents is graver than against a stranger (CCC1858). Mortal sin destroys charity in the heart of a person and turns them away from God – there is a rupture. One commits venial sin when in a less serious matter, one does not observe the standard prescribed by the moral law or disobeys the moral law in a grave matter without full knowledge or complete consent (CCC1862). Venial sins are every day faults that only weaken charity and impede a soul’s progress in the exercise of virtues. If repeated they can however lead to mortal sin (CCC1863). All mortal sins must be recounted to a priest in the sacrament of confession (or reconciliation) after a diligent self-examination of conscience (CCC 1456). Confession of venial sin while not strictly necessary, is recommended (CCC1458). Adults must confess their sins to a priest at least once per year (CCC1457). Mortal sins can only be forgiven while we are alive and not after death. Unconfessed venial sins can be forgiven after death. While we are living, all confessed sins are given absolution by the priest (who becomes Jesus) i.e., are forgiven provided that you are truly sorry and will honestly try not to sin again (CCC1449). Penance (temporal punishment) is assigned as a necessary purifying step to restore us back to a state of God’s grace. When we die, our soul leaves our body and proceeds to the Particular Judgment. Death puts an end to the time open for each of us to accept or reject divine grace manifested in each of us receives our eternal retribution in our immortal soul: either entrance into heaven – through a purification or immediately – or, immediate and everlasting damnation. Those who die in God’s grace and friendship (i.e., free of all temporal punishment) are already perfectly purified and live forever in Christ thereafter (their body and soul are reunited and go to heaven immediately). Those who are not yet perfectly purified from the “residue of sin” (Fr. Wade’s words) are assured eternal salvation but first must undergo purification in Purgatory which is also called The Final Purification) (CCC1030). Those who die with unconfessed mortal sin proceed immediately to Hell. Once in Purgatory there is indeed suffering (a purifying flame) and you are not permitted to see God’s face. The length of time there is proportionate to the number and seriousness of the sins you committed. The living can shorten the stay of a soul in purgatory by having Masses said for them, by praying for them and by doing good works for them. When one leaves Purgatory their body and soul are reunited and immediately go to heaven. At the Last Judgment, upon the second coming of Christ, all the dead will be resurrected and along with those still living, will proceed to judgment. Our body and soul will be reunited at this time. Those who have done good works (sheep) and those who have done evil (goats) will be separated by Christ. The sheep will enter into eternal life and the goats into eternal punishment. There is much scriptural reference of this e.g. Mat 7:13-23. 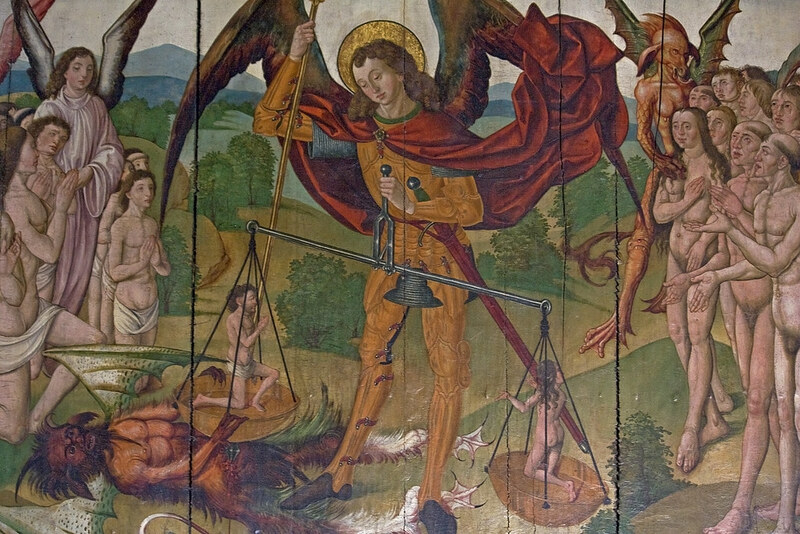 This last judgment seems entirely based on help given or refused “to one of the least of my brethren.” However, their was one sin that can never be forgiven according to Jesus and that is blaspheming the Holy Spirit. Your comments on and questions on the above are solicited and always welcome. *CCC# refers to the referenced paragraph in the Catechism of the Catholic Church, Canadian Conference of Catholic Bishops, c. 1994.